A great website can be one of your best marketing tools, helping to attract prospects, establish trust, capture leads, and, ultimately win new business. But what will make your site stand out from the crowd? 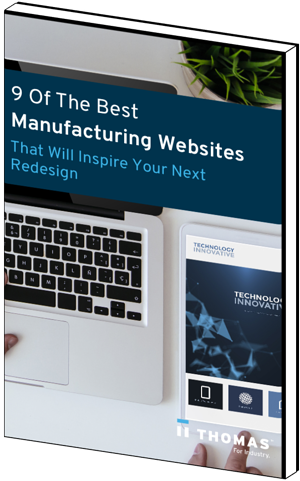 At Thomas, we’ve helped build and optimize more than 5,000 sites for manufacturers and industrial companies, so we know an awesome website when we see one. Here are nine of the best industrial websites on the web today. Learn why being BIM-ready is crucial to meeting the needs of your customers. More engineers, designers and contractors are now expecting modeling software to deliver what they need — whenever they need it. With more building owners requiring the availability of BIM-ready product information, it's critical that Building Product Manufacturers adapt their own processes to fit these demands. 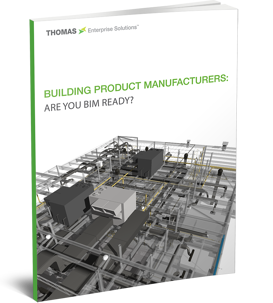 Building Product Manufacturers: Are You BIM Ready? Access your free copy now.